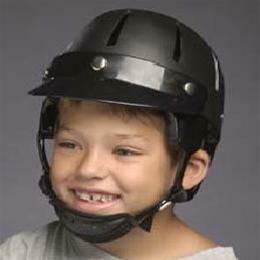 Sporty helmet has vinyl coated, ventilated, thick shock absorbent liner under the hard shell. Foam liner withstands multiple impacts while retaining compression resistance. Soft chin cup included. Weighs approximately 18 ounces.